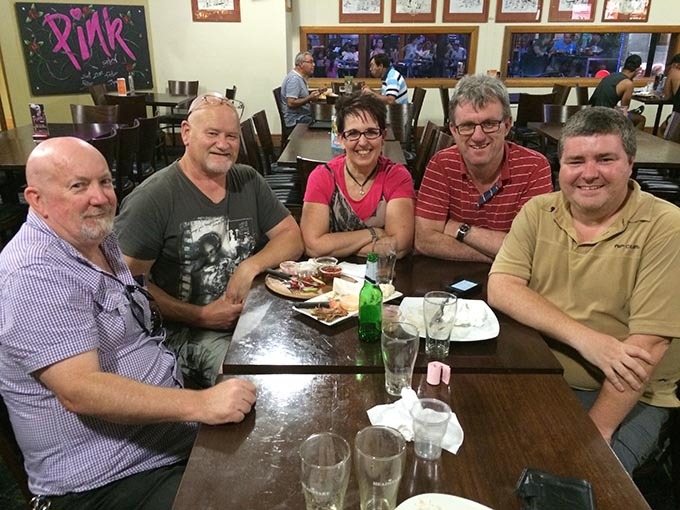 I spent a couple of hours in the Etamoogah Pub, Rouse Hill, tonight, meeting up with fellow travellers on the missional church journey. Matt Stone, who I’ve connected with as a fellow blogger over the last ten years, made an expression of interest in forming a monthly “thinkers group”. We were joined by Rob Thomson from Wollongong, Andy Park and Lucy Jarasius from Quakers Hill. Conversation ranged from the inevitable commonalities (Forge Australia and many mutual friends and colleagues), through to interest in moving beyond anthropomorphic approaches to mission, connecting with neo-pagan communities, developing holistic approaches to learning, respectfully relating to people of other faiths, connecting with indigenous theology, honouring of artists, artisans and technologists alongside those in people-focused work, nurturing emerging generations. The pub’s courtyard behind us was full of fans watching the India vs Pakistan cricket match. After a year of working almost entirely with Uniting Church leaders in Sydney, it was good to foster some connections outside that circle. Thanks Matt! Karina Kreminski, missiology lecturer at Morling College. Forest Church, a network of environment-focused expressions of church in the UK.